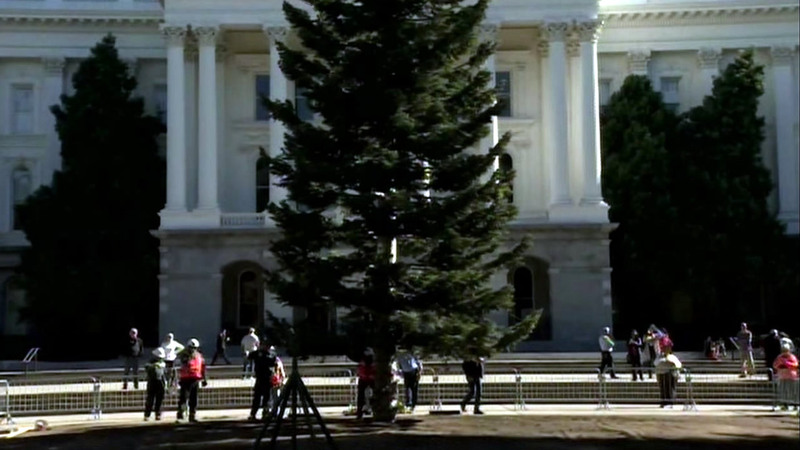 SACRAMENTO, Calif. (KGO) -- The California Capitol Christmas tree arrived in Sacramento on Tuesday. The tree was donated to the state and grown in Shasta County. It's 61 feet high and weighs more than 5,000 pounds. Officials said it would cost anywhere from $10,000 to $15, 000 to buy a tree of this size. Crews from the U.S. State Department of General Services will spend the next several days decorating it. It's traditionally lit by the governor during the first week of December.